The cruel mum of tragic toddler Levi Blu-Cassin waged an eight-month legal battle to stop his devastated grandmother finally staging his funeral. Read more here. Kids Need Both Parents have decided to comment on this devastating court battle. 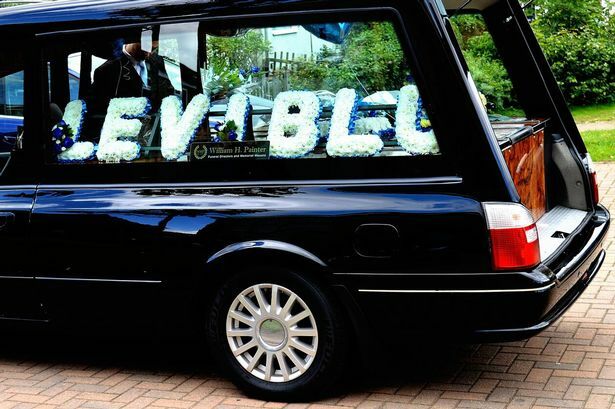 A question that needs to be asked is why was there a legal loophole that delayed Levi Blu’s funeral for more than two years after he died? Surely if both parents are in jail for allowing their son’s death, for the child’s sake the grandmother Angela Cassin should have been named his next-of-kin immedaitely. This case has been dealt inhumanly and justice was not given to 22 month-old Levi Blu. It is not acceptable, the court has failed to realise the emotional impact that it has caused upon Levi Blu’s family. If the mother Danielle Cassin and father Mark Piper were branded as ?selfish, neglectful and manipulative?, why did Cassin retain the status of next of kin whilst in prison? Although Anegla Smith’s case can now guide other families in a similar situation through her battle in court, this should be observed further as this process was unfair and emotionally damaging. There is constant debate about the severity of a child’s voice not being heard in court proceedings, and on this occasion it seems as though Levi Blu’s death was not enough to serve him justice and be burried in peace. On this occasion, the child was at risk with unloving parents who allowed their child to die, therefore it is important to realise that as a charity although we are called ‘Kids Need Both Parents’, we help parents who want to be supported to improve both their lives and their children’s. We believe the child should be put first, in this case this was shamingly denied by both his mother and court.